John Baines is Professor of Egyptology Emeritus at the University of Oxford. His most recent books are Visual and Written Culture in Ancient Egypt(2007), The Disappearance of Writings Systems (2008, co-edited with John Bennet and Stephen Houston), and High Culture and Experience in Ancient Egypt (2013). Henriette van der Blom is Senior Lecturer in Ancient History at the University of Birmingham. She has published extensively on Roman republican memory culture, oratory and politics, including Cicero’s Role Models: The Political Strategy of a Newcomer (OUP 2010) and Community and Communication: Oratory and Politics in Republican Rome (with C. Steel; OUP 2013). Her next monograph is Oratory and Political Career in the Late Roman Republic (CUP, forthcoming). Yi Samuel Chen is Research Fellow at the University of Oxford. He specialises in Sumerian, Babylonian and biblical literary history and historiography. His monograph The Primeval Flood Catastrophe: Origins and Early Development in Mesopotamian Traditions was published in the Oxford Oriental Monographs Series (2013). Tim Rood is Professor of Greek Literature at the University of Oxford, where he is the Dorothea Gray Fellow and Tutor in Classics at St Hugh’s College. His research focuses on Greek historiography and its reception. His first book, Thucydides: Narrative and Explanation (1998), was published in the Oxford Classical Monographs series. Since then, he has written two books on the reception of Xenophon’s Anabasis: The Sea! The Sea! The Shout of the Ten Thousand in the Modern Imagination (2004) and American Anabasis: Xenophon and the Idea of America from the Mexican War to Iraq (2010). 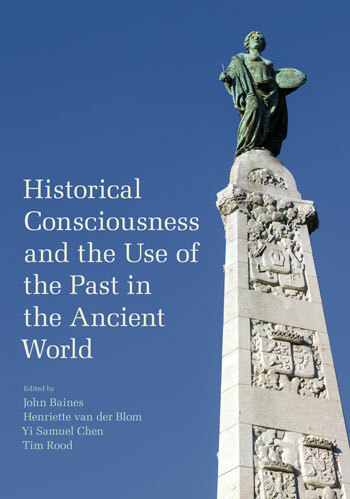 Historical Consciousness and the Use of the Past in the Ancient World offers linked essays on uses of the past in prominent and diverse cultures in ancient civilizations across the world. The contributors are leading experts in Ancient Near Eastern Studies, Sinology, Biblical Studies, Classics, and Maya Studies. This volume addresses crucial questions in current scholarship on historical consciousness and historiography. These questions include the formation of different traditions and the manifold uses of the past in particular socio-political contexts or circumstances; the ways in which these traditions and these types of cultural memory informed or contributed to the rise of more formal modes of historiography; interactions between formal modes of historiography and other traditions of historical consciousness during their transmission; and the implications of such interactions for cultural heritage, collective memory, and later understandings of history. By taking an interdisciplinary approach, this volume situates the rise of formal modes of historiography within a larger context of developments in historical consciousness and a wider web of intercommunicating discourses. It also uncovers intellectual processes, literary mechanisms, and social institutions involved in the construction of history. During the construction of ancient historiographies, while many local traditions persisted, some ancients gradually went beyond the temporal and spatial limitations of their local traditions, arriving at a more extended and unified timespan, a wider geographical region, and a common origin. Historical Consciousness and the Use of the Past in the Ancient World offers nineteen linked essays on uses of the past in prominent and diverse cultures in ancient civilizations across the world. The contributors are leading experts in Ancient Near Eastern Studies, Sinology, Biblical Studies, Classics, and Maya Studies. This volume addresses crucial questions in current scholarship on historical consciousness and historiography. These questions include the formation of different traditions and the manifold uses of the past in particular socio-political contexts or circumstances; the ways in which these traditions and these types of cultural memory informed or contributed to the rise of more formal modes of historiography; interactions between formal modes of historiography and other traditions of historical consciousness during their transmission; and the implications of such interactions for cultural heritage, collective memory, and later understandings of history. The chapters discuss many questions relating to the volume’s theme: theoretical and methodological approaches to ancient material; intellectual, didactic, and social circumstances and institutions; ideological motivations behind, and social functions of, interactions; conceptual, narratological, and literary processes and mechanisms such as synchronism, sequencing of events, periodization, mythological prologues, aetiological motifs, genealogical and chronological schemes, geographical and ethnographical features, temporal and stylistic devices; interchanges between different temporal frameworks such as mythical, legendary, ritual, chronological; the extent and variety of interactions such as manifestations in visual arts, monuments, cultic activities, music and dramatic performance; physical or textual channels for dissemination and transmission; stages and periods of interaction in different cultures, authors, and texts; convention and innovation; differences and relationships between scholarly and popular conceptions of history; and exchanges between local traditions and ones with a global perspective. By taking an interdisciplinary approach, this volume situates the rise of formal modes of historiography within a larger context of the development of historical consciousness and a wider web of intercommunicating discourses. It also uncovers intellectual processes, literary mechanisms, and social institutions involved in the construction of history. During its construction, while many local traditions persisted, some ancients gradually went beyond the temporal and spatial limitations of their local traditions, arriving at a more extended and unified timespan, a wider geographical region, and a common origin. Paul Collins is Jaleh Hearn Curator for Ancient Near East at the Ashmolean Museum, University of Oxford. His research interests include the meaning of visual representation in Mesopotamia, and the role of museum displays in shaping disciplinary knowledge. He is the author of Assyrian Palace Sculptures (British Museum, 2008), and Mountains and Lowlands: Ancient Iran and Mesopotamia (Ashmolean Museum, 2016). Piotr Michalowski is the George G. Cameron Professor emeritus of Ancient Near Eastern Civilizations at the University of Michigan. He has written on various aspects of ancient Mesopotamia, ranging from history, historiography, and literature to epistolography and geography. His most recent book is The Correspondence of the Kings of Ur: An Epistolary History of an Ancient Mesopotamian Kingdom (Eisenbrauns, 2011). The long arc of Mesopotamian history provides many examples of texts that not only narrate history, but also create it. One group of such texts conventionally designated as King Lists, is often invoked in discussions of both history and historiography. Even though on first glance they appear to be homogeneous and structurally artless, this simplicity disguises a complexity and heterogeneity that can be subjected to different kinds of analyses. This seeming simplicity was particularly suited for the mediation of certain paradoxes, such as the tension between the celebration of native as well as stranger kings, and the conflicting claims of genealogy. Although it could be argued that the Mesopotamian Kings Lists have been overinterpreted, there is still room for new readings of these compositions. In many respects the Mesopotamian view of the universe had no room for history as a concept. Yet there was an acknowledged sense of deep time, made evident through inscribed and sculpted objects created by kings to inform posterity of their achievements. Such texts and images were fashioned from materials that ensured they existed beyond the lives of their creators. In this way rulers aligned themselves with future kings, who would uncover and even curate these works, but also, and perhaps more significantly, established a connection with past monarchs whose own records were preserved in the structure and foundations of buildings. 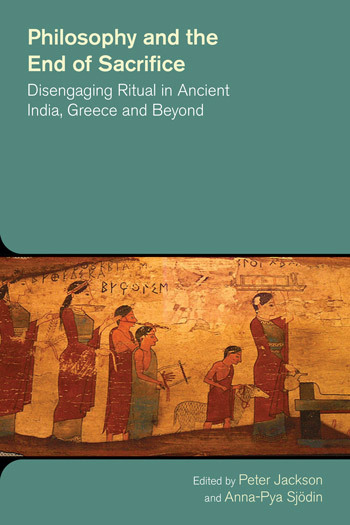 This chapter explores the ways in which the creation of temples, palaces and associated monuments were understood as ritual acts that were tied to a historical consciousness and to the notion of a contractual relationship between the king and the gods established at the beginning of time. Indeed, images and monuments were the medium through which the symbiotic relationship between the king and the gods was maintained and the restoration of a divinely ordered world of the past achieved. Gebhard J. Selz is Professor emeritus of Ancient Near Eastern Languages and Oriental Archaeology at the University of Vienna. His main research interests are the intellectual heritage of third millennium Mesopotamia, especially the role of the cuneiform writing systems. He has published numerous articles and books on the intellectual, religious, and economic history of the period, a summary of which appeared as Sumerer und Akkader: Geschichte, Gesellschaft, Kultur (3rd ed. 2016: C. H. Beck). 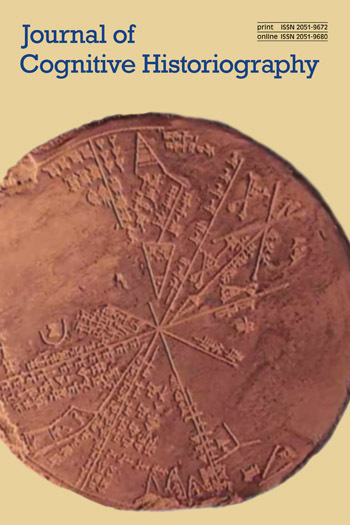 In ancient Mesopotamia historiography is grounded on two concurrent perceptions of time: the sequential order of specific events remains framed by the underlying notion of the cyclical nature of time. Historiography evolves around these different conceptions, framing all historical interpretations. As much as specific events might be understood as an actualization of mytho-historical narratives, this concept is challenged by the Mesopotamians’ striving after renown and fame, kleos. To make a name for themselves was a salient means of acquiring a “lasting life”, well beyond physical death. This conflict is reflected in manipulations of historical memories as well as in the epistemic prefiguration of historical records. The chapter focuses on 3rd millennium sources, discussing the conflict between mytho-historical narration and the recording of individual deeds. The following topics are addressed, mainly through commemorative inscriptions and literary texts: 1. The fictional framing of historical records and the historiographic aims of literary texts; 2. The roles of the omniscient narrator and the hidden narrator; cultural memory, the individual, and the creation of authority; 3. Creation and reassertion of cultural identities by alteration, manipulation, and omission (deletion) of historical events in both fictional and nonfictional narration. Amir Gilan is Senior Lecturer in Hittitology and Ancient Near Eastern Studies at Tel Aviv University. His research focuses on the political, religious, and cultural history of ancient Anatolia, Syria, and the northern Levant. He has published Formen und Inhalte althethitischer historischer Literatur (2015) and other work on Hittite history, historiography and literature, mythology and religion, on cultural contact and on the construction of identities in Hittite Anatolia and Neo-Hittite Syria. His is working on a history of the Hittite institution of kingship and its interlocking with religion, as well as on manifestations of historical consciousness in Hittite Anatolia, funded by the Israel Science Foundation. What did the Hittites know about their distant past? Unlike their peers from Mesopotamia or Egypt, Hittite kings could only look back on a relatively short history. In the introduction to his ‘proclamation’, king Telipinu (first half of the 15th century BC), ascribed the foundation of the Old Kingdom to Labarna, who reigned 5 or 6 generations before him. A century or two later, kings of the empire period could relate to a longer ancestral history. The cruciform seal of king Mursili II, listing important kings of the past, adds a king Huzziya before Labarna. Mursilis’s 13th-century grandson Tudhaliya IV estimates the time between the Old Kingdom Hantili and himself as four or five hundred years. This chapter reviews the channels by which the Hittites (re)constructed their distant past. These include, beside Historiography, genealogies and other references in historiographical texts, as well as folktales and legends that were sometimes embedded in historiographic literature. Attention is given to religious festivals in which people came into contact with history, including local mock-battles commemorating historical events, offerings to deceased members of the royal family, and veneration of the statues of deceased kings and queens within the great ‘state’ festivals. The conclusion discusses the significance of these findings for the formation and articulation of Hittite ‘identity’. Marcelo Campagno is Professor of Ancient History and Secretary of Research at the University of Buenos Aires. He is also a researcher of Argentina’s National Research Council (CONICET) and visiting professor of Egyptology at the Autonomous University of Barcelona. His main research interests are in Egyptology and in the origin and structuring of ancient societies. Principal works: De los jefes-parientes a los reyes-dioses (Barcelona, 2002), Una lectura de «La contienda entre Horus y Seth» (Buenos Aires, 2004), El origen de los Estados primarios (Buenos Aires, 2007), Pierre Clastres y las sociedades antiguas (edited, Buenos Aires, 2014), as well as articles in edited volumes, encyclopaedias, and journals including Zeitschrift für Ägyptische Sprache, Archéo-Nil, and Journal of Egyptian History. Each society creates an imaginary time consubstantial with its own existence. We may infer that the organzing logics of societies create their specific forms of past. Ancient Egypt provides a test case, exhibiting logics relating to kinship and the state, the first seemingly deriving from remote times while the second emerged during the 4th millennium BC, subsuming but not eliminating the first. Is it possible to identify basic features of the past perceived in relation to these logics? Whereas it is difficult to consider characteristics of the imagined past in pre-state times, it is possible to detect influence of kinship logic in later formulations of ideas about the past, as well as other ideas related to state logic. After setting the theoretical context, this article explores these issues primarily through analysis of Egyptian texts of the third and second millennia BC. Kinship logic moulds the past in terms of two principal regularities associated respectively with cyclical and linear time. Both imply permanence, but the former is achieved by repetition and the latter by continuity. The former involves positions defined by kinship and expectations of the perpetual cycle through which parents beget children who then become parents. The latter corresponds to the dynamics of intergenerational continuity, mainly expressed through prominent ancestral figures. Once state logic emerges, it redefines conceptions of past, creating new modes of recording that enable the introduction of other timescales and reformulating kinship temporality. The only repetitive regularities which are relevant for state logic are the king’s actions, especially his affirmation of order over chaos. Linear regularities are reformulated so that continuity in time implies not only each successive king’s establishment of order but also its expansion, through what scholars term the ‘imperative to surpass’. Curation of the past, which underlies written historiography, relies on the interplay of social institutions, material culture, and physical setting. ‘Historiography’ in complex societies is contained not only in oral narratives and written texts but also in a range of other domains, material, spoken, and written, loosely structured or ritualized. This background is the most basic presupposition for historiography. This chapter explores relevant practices in ancient Egypt, asking three principal questions and paying particular attention to evidence from material culture. First, how far are institutions organized in the present in such a way as to create materials that will serve a mobilization of the past at some time in the future? Second, is it meaningful to draw distinctions between a ‘documentary’ or factual and discursive approach to the past and a ‘mythical’ one, and would such distinctions have made sense to the ancient actors? Third, in a culture such as that of early Egypt, where narrative forms do not seem to have had a privileged status at least in written form, how should the imposed concepts of historiography and historical consciousness be applied? Should other modes of presentation be given comparable or greater weight? Simon Martin is a Maya epigrapher, anthropologist, and historian, whose work focuses on Classic Period (250–900 CE) Maya politics, religion, and intellectual culture. His doctorate is from the Institute of Archaeology, University College London, and he is currently an Associate Curator at the University of Pennsylvania Museum and an adjunct faculty member at the Department of Anthropology, University of Pennsylvania. He has published two co-authored books: Chronicle of the Maya Kings and Queens (with Nikolai Grube, 2000) and Courtly Art of the Ancient Maya (with Mary Miller, 2004). The ancient Maya were the only civilization of the Americas to develop a script that comprehensively recorded language, and they made prodigious use of it to create durable records. That legible inscriptions reach back to at least 300 AD means that we have a rich resource both for historical analysis and for engaging with an indigenous historiography and historical consciousness. This chapter examines some related issues. Maya texts offer data on the continuities and the contrasts between myth and history, in ways that touch on ‘mythistory’ as a non-judgmental term for approaching concepts of time and agency. They also provide evidence for the organizing principles they applied to past events, in which monumental discourse lacks an emphasis on narrativization and focuses instead on a highly formulaic ordering through chronology. This is part-and-parcel of a semantic ‘thinness’ that confines recorded events to a select number of tropes that are often presented without causation or consequence. Discussion of possible reasons for this focus revolves around the social and political purposes of the texts, which are expressed in a material form that ensured that they could broadcast a patrimonial rhetoric through time. These displays of identity and achievement did not simply reflect the historical events and current social realities they record; they also constituted them. Maya writing cannot easily be separated from the context of the numerous competing kingdoms in which it was practised—indeed that context seems to be the very reason why monumental writing took the form that it did. Glen Dudbridge (1938–2017) was Run Run Shaw Professor of Chinese emeritus at the University of Oxford. His books include The Hsi-yu chi: A Study of Antecedents to the Sixteenth-century Chinese Novel (Cambridge University Press, 1970), The Legend of Miaoshan (Ithaca, 1978; Oxford University Press, 2004), The Tale of Li Wa: Study and Critical Edition of a Chinese Story from the Ninth Century (Ithaca, 1983), Religious Experience and Lay Society in T’ang China: A Reading of Tai Fu’s Kuang-i chi (Cambridge University Press, 1995), and A Portrait of Five Dynasties China: from the Memoirs of Wang Renyu (880-956) (Oxford University Press, 2013). Maria Khayutina is currently head of the research project Kinship, Marriage and Politics in Early China in the Light of Ritual Bronze Inscriptions from the 11th–8th centuries BCE at the Institute of Sinology, Ludwig-Maximilians-University of Munich. She is author of numerous book chapters and articles on early Chinese society, ideology, and historical geography, exhibition curator, editor and co-author of the Qin – The Eternal Emperor and His Terracotta Warriors (Zürich: NZZ Libro, 2013). Her research focus is on early Chinese epigraphy. This chapter compares two groups of inscriptions on ritual bronze vessels and bells from the 10th–5th centuries BC that refer to the distant past, examining how Early Chinese elites mobilized historical memory. The first group, commemorating the founders of the Zhou dynasty (ca. 1050–256), is from the Zhou metropolitan area around Xi’an and dates from the 10th–early 8th centuries. Inscriptions in the second group, also referring to earlier rulers, post-date the 8th century and derive from various polities. Comparison uncovers significant regional differences and temporal changes. Two late 9th century inscriptions exhibit the metropolitan practice of referring to the past in relation to royal appointments and rewards. Their ‘historical’ excurses are products of a Zhou policy of using memory that provided ideological support for the dynasty which, unlike rulers elsewhere in the ancient world, could not count on a shared pantheon to boost cohesion and loyalty among subordinates who were not royal kin. Zhou kings targeted discourse about the First Kings in order to maintain the hierarchy among metropolitan lineages. Elites imitated kings and used memory about royal ancestors to display and enhance their own prestige. Four inscriptions, commissioned by regional rulers and elites of the 8th to early 5th centuries, show that they only partly followed the metropolitan example of referring back to the early Zhou kings. In seeking legitimation for their autonomy or new political alliances, they could evoke a more distant past or contrast the present Zhou kings to the dynasty’s founders. Thus, the roots of Chinese historiography go back to discourse about status and hierarchy among the Zhou elites from the 10th century onward, whereas deepening historical perspectives and the emergence of a critical approach to the past can be connected with political changes during the 8th–5th centuries. David Schaberg is Dean of Humanities and Professor in Asian Languages & Cultures at the University of California Los Angeles. He has published articles on early Chinese literature, historiography, and philosophy as well as Greek/Chinese comparative issues. He is author of A Patterned Past: Form and thought in early Chinese historiography, which was awarded the 2003 Levenson Prize for Books in Chinese Studies (Pre-1900 Category) and translator, with Stephen Durrant and Wai-yee Li, of Zuo Tradition / Zuozhuan: Commentary on the ‘Spring and Autumn Annals’ (3 volumes, University of Washington Press, 2016). His most recent work addresses the history of oratory and ritual speech genres in early China. With a nod to the origins of the word historia and particularly to the role of aitia (cause, culpability, accusation) in the framing of Herodotus’s work, this chapter investigates the occasions and motivations of historical inquiry that are implied in early Chinese sources stretching from legal disputes as memorialized in Western Zhou (ca. 1046–771 BC) bronze inscriptions down to exegeses and practical applications of Spring and Autumn Annals (Chunqiu) passages in the Warring States period (ca. 453–221 BC) and Western Han (206 BC–AD 8). The Greeks’ understanding of historical work as in certain fundamental senses a juridical activity allows us to pose some questions about early Chinese historical activity: How were narratives about the past invoked in legal disputes? How was writing used in the presentation of such narratives, in the commemoration of settled disputes, and in the formulation of principles to guide later judgments? How did the scene of judgment—the confrontation of disputants in the presence of a judge of one kind or another—condition forms of narration and, in the case of the Chunqiu, later pedagogical practices? How did conceptions of reciprocity in ritual propriety (li) relate to more abstract notions of justice? How did the roles of the shi (scribe, astrologer, and only later historian) relate to questions of legal judgment? The ultimate aim is to identify as completely as possible, on the basis of the opening Herodotean observations, the quasi-legal underpinnings of historical activity in classical Greece and China, and in this way to establish a basis for further comparisons. The pre-imperial Chinese inhabited a universal space, but for centuries their feudal states did not feel bound to a universal chronology. Each maintained its own. The Qin empire imposed a single, central chronology to match its sole legitimate title to power, an example followed by its successor, the Han. Late in the first century BC, the relationship of official historians to centres of power, whether feudal or imperial, received a firm definition in the first imperial bibliography, which viewed and classified their work as canonical. The tradition of standard dynastic histories that developed later took a bureaucratic form in which all institutions, including chronology, reflected the legitimacy of the dynasty in question. Those simple values were disturbed at times when central power collapsed and dispersed among regional polities. Bibliographers, striving to maintain order and structure in written culture, moved imperial historiography outside the standard canonical class. Historians had to decide where among rival regional powers legitimacy was presumed to lie. When they chose to present a chronological narrative, that meant choosing which chronology to sanction. This chapter looks at particular examples to study what choices they made and what circumstances drove those choices. It also pinpoints three documents that illustrate the growing ironical distance between historians and their subject-matter. It concludes by observing that the universal model remained the historians’ default position in spite of the persisting chaos of regionalism and collapsing borders. Peter Machinist is Hancock Research Professor of Hebrew and Other Oriental Languages at Harvard University. His work lies in the intellectual and cultural history of the ancient Near East, with particular attention to Israel and Mesopotamia. Among his publications are Letters from Priests to the Kings Esarhaddon and Assurbanipal (co-edited with Steven Cole, 1998), and articles including: ‘How Gods Die, Biblically and Otherwise: A Problem of Cosmic Restructuring’ (2011); ‘Cities and Ideology: The Case of Assur in the Neo-Assyrian Period’ (2016); and ‘“Ah, Assyria…” (Isaiah 10:5ff. ): Isaiah’s Assyrian Polemic Revisited’ (2016). Chronology is often said to be the backbone of history, for without it the understanding of continuity and change, the foundations of an historical perspective, is impossible. Establishing a chronological framework for his subject, therefore, has regularly been seen as an essential task of the historian. This task involves periodization: arranging the chronological sequence of the past into units of thematic coherence that make the past appear less chaotic, and so of greater potential meaning for the present of the historian and his audience. Periodization, moreover, is an historiographic activity that goes back to antiquity. This chapter treats how it was handled in one ancient literary corpus, the Hebrew Bible, along with glances at contiguous ancient Near Eastern traditions, especially the Mesopotamian, and those of later periods. The chapter begins with a general discussion of the terminology and narrative methods of periodization in the Bible, and then, with this discussion as background, explains how periodization was conceived and signaled in three different biblical examples: Genesis 1–11, the so-called Primeval History; the Deuteronomistic History and its depictions of the political history of Israel in its land; and Daniel and its scheme of universal history, viewed as the periodized succession of “universal empires” in the Near Eastern and Mediterranean world of the first millennium BC—Assyria, Babylonia, Achaemenid Iran, and Alexander. These examples, it is suggested, show that while the biblical authors were mindful of describing the past in periodic units, they did not do so with fully articulated and explicit schemes; the latter began to appear only later, in the Second Temple period of Hellenistic and Roman Judaism. This chapter analyses a primary kind of text about the ‘past’ which looms large in the Hebrew Bible world: the story of the Exodus. The Exodus narrative has been fundamental to questions of history in the Hebrew Bible and biblical scholarship, yet the pursuit of ‘history’ has been obstructed by the many fantastic nd clearly ‘unhistorical’ elements in the story. Thus, the narrative of the Exodus occupies an ambiguous position between myth and history in modern scholarship; at the same time this text is centrally concerned with the past and with how to maintain memory of it in the text’s recipients. This chapter contributes to investigating the uses of the past in the Hebrew Bible, analysing how the people’s past is mediated in narration in Exodus 1–18 by mixing ‘realistic’ historical narration with fantastic elements, as well as discussing the effects and functions of this mode of presentation. The autor then analyses the media of remembrance of the past presented within the text—memory techniques and ritual practices that stipulate how the story of the people’s past should be remembered by the members of the people of Israel. The argument draws on narratological/literary theory, as well as perspectives from cultural memory and media theory, discussing media of historical consciousness in the ancient world by investigating the presentation of the past, the understanding of the past, and ideas of how and why to remember the past, in this central text of the Hebrew Bible. Christopher returned to Christ Church in 2003 when he became Regius Professor of Greek. He had earlier been a Senior Scholar in the 1970s, and in between he spent twenty-nine years as Fellow and Praelector in Classics at University College. This scene-setting chapter stops the action at the point when (probably) Herodotus’ Histories are reaching their final form, around the time of Aristophanes’ Acharnians (425 BC). It aims to reconstruct something of the assumptions that Herodotus’ audience might bring to the text, accepting that these might be anything but uniform and that the various genres on which they were based might themselves have different norms. Epic, tragedy, and Hecataeus figure heavily, but the chapter also draws on comedy (including Acharnians itself), Hesiod, the Hippocratics, the Presocratics, and the proto-biographic works of Stesimbrotus of Thasos and Ion of Chios; the last two are especially interesting, as they might be responding to Herodotus’ oral presentations just as Herodotus may be in dialogue with them. The issues discussed include the question whether events in the distant or mythical past are assumed to follow the same norms or patterns as events in the here and now; the use of a historicising framework for capturing current truths about society or phrasing ethical test-cases; the relation of historical explanation to other sorts of explanation, e.g. in exploring the origins of diseases or of the kosmos; the extent to which the polyphony often associated with ‘historical consciousness’ is linked with the growth of democracy; and the currently fashionable idea that Herodotus should be seen as ‘defining himself’ other genres. The chapter seeks to reconstruct the expectations that his listeners or readers might have when approaching his work, and to explore how Herodotus himself plays on these. Rosalind Thomas is Professor of Greek History in the University of Oxford, and Dyson-Macgregor Fellow and Tutor in Ancient History, Balliol College. Her research interests include ancient literacy, oral tradition and orality, performance culture, Greek historiography, and ‘local history’ and the polis. Her books include Oral Tradition and Written Record in Classical Athens (1989), Orality and Literacy in Ancient Greece (1992), and Herodotus in Context: Ethnography, science and the art of persuasion (2000). A book on ‘local histories’, Polis histories, Collective Memories and the Greek World, is forthcoming. This chapter examines the phenomenon of ‘aetiology’ in Greek formal historiography, particularly Herodotus, and in the more popular manifestations of historical consciousness to be found in various polis and island histories (‘local histories’), arguing that these have roots in local popular and cultic explanations. Though aitia and the discussion of ‘causes’ in these contexts are often taken to be a particularly Hellenistic and learned interest, they are very common in Herodotus and in the fragments of local histories which must relate to oral traditions – and they are often highly entertaining. The author examines whether there are differences of attitude and approach between Herodotus and the aitia of local histories, as well as the relation of these aitia to the wider and more sophisticated search for cause and causation in Greek historiography. These aetiologies also raise questions about the relation of present to past, the sense of continuity of custom, and about the invention of tradition. Emily Baragwanath is Associate Professor of Classics at University of North Carolina at Chapel Hill. The close proximity within the Greek historians of what may strike modern readers as distinctly heterogeneous narrative modes – historical, ‘wie es eigentlich gewesen’ on the one hand, and mythical on the other – is one of the paradoxes underlying their often ambivalent reputations. The notion of a firm history/myth polarity is a largely a modern construction: to the Greeks, the body of their traditional tales was their past and formed a powerful and ever-relevant continuum with the present. As the same time, some thinkers wrestled with the problematic historicity of conspicuously mythic material. Surviving historical texts are eloquent witnesses to the recurrent interaction of mythological and historical traditions. Mythic stories and schemata are pervasive throughout Herodotus’ Histories, right from its tour de force opening narration of mythic female abductions. The work may even offer a glimpse of the process of formal historiography taking shape by both drawing from and defining itself against competing traditions of mythical consciousness. This chapter takes Herodotus as a case study to probe further the nature of this interaction by addressing the mythic themes of women’s value within the household and men’s presumptuous exercise of power to which they are not entitled. Herodotus develops a contrast between mythic and historical modes, with mythical accounts contributing to patterns that other episodes suggestively qualify, while the mythic mode contributes to the historian’s objective of preserving historical events in memory. Yet the mythical narratives also turn out to be part of history, for they have a profound determinating effect on the direction and outcome of historical events. Jonas Grethlein holds the Chair in Greek Literature at the University of Heidelberg. His more recent publications include The Greeks and Their Past: poetry, oratory and history in the fifth century BCE (Cambridge University Press, 2010); Experience and Teleology in Ancient Historiography: ‘Futures past’ from Herodotus to Augustine (Cambridge University Press. 2013); Aesthetic Experiences and Classical Antiquity: the significance of form in narratives and pictures (Cambridge 2017); Die Odyssee (Munich 2017, English translation in preparation). It is controversial whether ancient historians subscribed to the same notion of truth as modern historians. This chapter, rather than viewing ancient historiography from the vantage-point of modern history, envisages it against the backdrop of other ancient genres dealing with the past, notably poetry; more specifically, it looks at how truth is understood in Thucydides and Herodotus in light of Pindar’s Olympian 1. The chapter first explores Pindar’s rejection of the tradition of Tantalus’ gruesome banquet. Pindar’s critique is strikingly similar to Thucydides’ methodological reflections. On the one hand, Thucydides’ polemics feature elements of the poetry against which he rants. On the other, an assertion that in our eyes seems banal is highly charged in an attempt to distance historiography from poetic memory. The chapter then argues that Pindar, while rejecting the traditional Tantalus myth, grants it much space. He integrates into his ode a rumour which resembles the rejected tradition and explains its genesis. More incisively, metaphors and other features continue to evoke the story which Pindar deems untrustworthy. This playful engagement with a rejected myth can be fruitfully compared with the prominence of alternative versions in Herodotus’ Histories. While critical scrutiny places Herodotus firmly in the intellectual milieu of physiologists and sophists, the eagerness to juxtapose divergent stories parallels, with due qualifications, the engagement with various traditions in poetry. The chapter concludes by touching on the question of how Herodotus’ and Thucydides’ understanding of truth deviates from the positivist notion accepted by most historians today. Thucydides has often been read as a model of a ‘scientific’ mode of historical writing grounded in the rejection of ‘myth’. This view is based in part on Thucydides’ own methodological pronouncements. But it underestimates the amount of mythical material that Thucydides included within his account of the Peloponnesian War (e.g. mythical references to Theseus, Tereus, Amphilochus, Alcmeon, Odysseus, and the Cyclopes, as well as ethnographic sections on the Thracians and the Aetolians). The aims of this chapter are: 1. To explore the reception of Thucydides’ use of mythography. What part, if any, have these passages played in the construction of the image of Thucydides as exemplary historian? 2. To offer an analysis of how Thucydides’ introduction of mythographic material itself contributes to his spatial and temporal construction of the Peloponnesian War. The author opposes modern narratives of the development of a Thucydidean mode of historiography to the narrative complexities of Thucydides himself, illuminating both modern constructions of classical historiography and the role of the mythical within Thucydides’ work. Christina S. Kraus is Thomas A. Thacher Professor of Latin at Yale University; before that she taught at Oxford, University Collge London, and New York University. She is the author of a commentary on Book 6 of Livy’s History and a contributor to a commentary on Tacitus’ Agricola; she has also edited or co-edited several collections, most recently Classical Commentaries (Oxford University Press 2016), with C. A. Stray. Her main interests are in the scholarly genre of commentary, Latin prose, and ancient historiographical technique. Livy’s fifth book narrates the years from 400 to 386 BC, from the third year of the 10-year siege of the Etruscan city, Veii, to the sack of Rome by the Gauls and their subsequent defeat. One theme that structures the book is the reliability and correct reading of signs, with its concomitant implications of who holds, or usurps, authority. This chapter concentrates on this broad theme, reading (primarily) chapters 15–22. The author focuses on the pattern of alternative possibilities raised by prodigies and forecasts, which invite historiographical choices operating explicitly both on the level of story (what’s being narrated) and discourse (how it is narrated). In the incident of the praeda Veientana (Veian booty), Livy investigates how political motives give rise to varying interpretations of signs. In the stories of the Alban Lake and the capture of Veii, he concentrates more overtly on the status of auctores (authors/authorities). To a certain extent, the first half of Book 5 can be said to be ‘about’ the question of political and religious authority, reaching necessarily beyond the story, to a meta-narrative level, when one is dealing with—as here—plural versions of a story. The author concludes by suggesting that one writes history only when there is a question of right and wrong versions, where there is more than one possible narrative of events. If there is no need to choose and evaluate, no contestation of the record, no chance for the historical memory to take a wrong turn, as it were—then historians are hardly needed. Ancient historians of the classical period often operate with a major change in Roman society with the fall of the republican system of government and the advent of the monarchy under the emperors. With the change in political system, the republican past became a flexible means to further a number of agendas: political, social, religious, literary. An aspect where the use of the past was a tradition carried forward from the Republic and into the imperial period was the employment of historical exempla in oratory and rhetorical works, but it was a tradition which had to come to terms with the change in political system. This chapter analyses the ways in which figures from the Roman republican period were depicted and deployed in imperial rhetorical exercises. These written versions of oral exercises offer a substantial body of material of four major collections of declamations (as opposed to the very fragmentary record of written speeches) and a window into Roman culture. The discussion focuses on the employment of republican exempla and its reflection of imperial consciousness of the republican past.